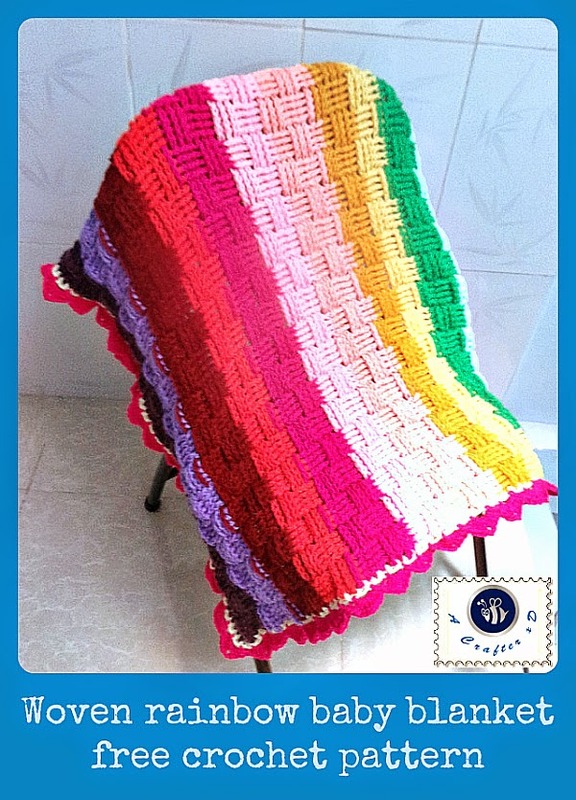 This one is a free crochet baby blanket pattern for a stash busting project. I used the basket weave crochet stitch in this project, multi colors yarn choice for a fun and bright look. R2: Ch 3 (as 1st dc or standing dc), *fpdc around next 4 sts, bpdc around next 4 sts*, repeat ** 'till end, dc into last st, turn. R3: Ch 3 (as 1st dc or standing dc), *bpdc around next 4 sts, fpdc around next 4 sts* repeat ** 'till end, dc into last st, turn. After finishing your last row of basket weave stitch, use hdc around the blanket for border lines, simply hdc into every space between 2 sts, crochet 3 hdc into every corner. 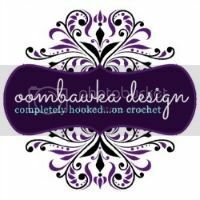 Crochet edging: change to your favorite color for crochet edging, *ch 3, sc into next 2 st* repeat around, sl into 1st st to join. Now every ch 3 is a loop, sl into 1st loop from the corner. Ch 3 (or standing dc), 2 dc into same loop, sc into next loop, *3 dc into next loop, ch 2, 3 dc into same loop, sc into next loop* repeat ** around.